I think this is an exceptional cover for a four piece band. Like I said in the post, we used whistles and kazoos to cover for the flutes and trumpets. In thinking back, it may have been Ken and me both on the kazoos since I seem to remember Ken dropping it into my hand as I did the slide up on the piano to go into the refrain! I also think Jon was playing lead on the trumpet parts to augment the kazoo parts. It was a group effort to make this an outstanding cover of a Wings studio song! The photo is from Rock Island in late October of 1978. No, the fuzzy jacket was not mine. As explained earlier, it belonged to one of our girlfriends who was behind the camera with Art. Freezing our butts off in winter at Worthington Minnesota. 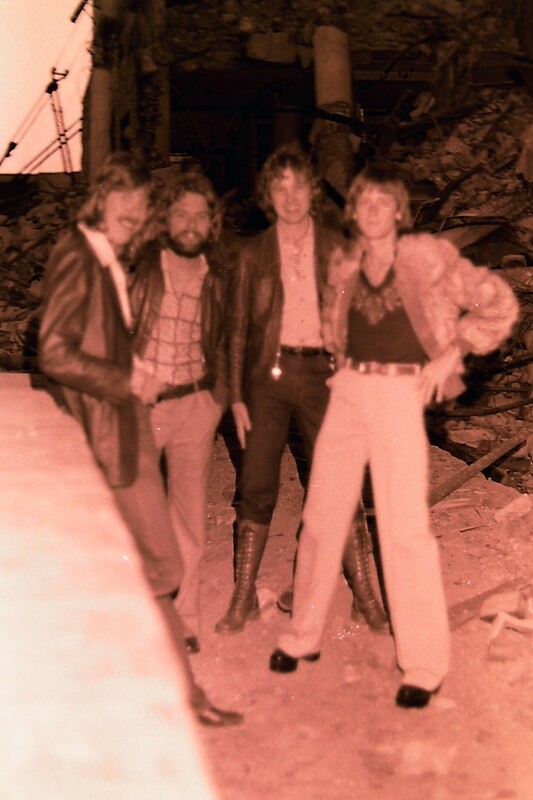 From left: Jon, Ken, Mick and Paul. For this cover of Paul McCartney and Wings selection I switched to piano and Ken played my bass. I sang the lead vocal. We simulated the flute parts by Jon, Ken and I whistling and the trumpet part was me playing a kazoo. It sounds pretty full for a four piece band. 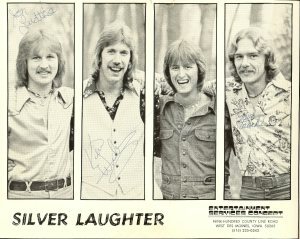 ‹ 1976 Photo of Silver Laughter – Who Are Those Young Guys?